AED 54,000 for this Automatic BMW Z4 with 15 inch wheels, climate control, racing seats, red interior, grey/silver exterior. 2000 BMW with ABS, air conditioning, power windows. Grey/Silver with black interior. GCC spec 2015 BMW featuring airbags (front and side), power windows, tuner/radio. White with red interior. Automatic 2013 BMW Z4 price AED 63,000, with 19 inch wheels, xenon headlights, navigation system, red interior, red exterior. GCC spec. GCC spec BMW Z4 with Tuner/radio, 17″ wheels and CD player. Price reduced! GCC spec 2014 BMW with Airbags (front and side), 19″ wheels and Power seats with memory. Price reduced! Tanya - Ever since I moved to the UAE, I really wanted to buy a Z Series. I searched for a while to find a second-hand BMW Z3 for sale in Dubai, UAE and finally found one at a good price. Fantastic cars and is certainly a wolf in sheep's closing. Cons: Putting the hardtop roof can be painstaking at times. 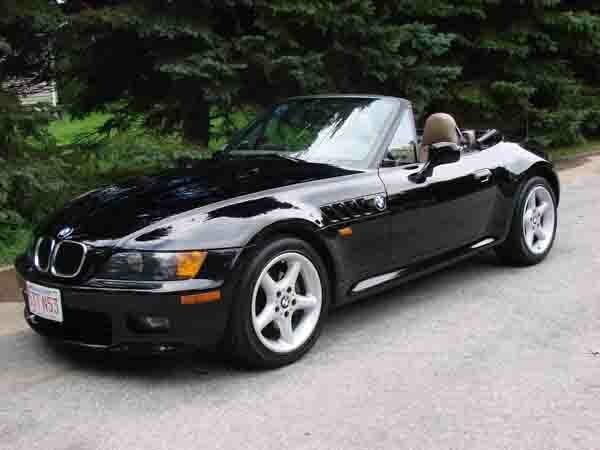 Rajesh - I got a pre-owned import BMW Z3 for a decent price. It looks great and drives exceptionally well for a 15-year-old car. Cons: Manual transmission was difficult to find in Dubai. 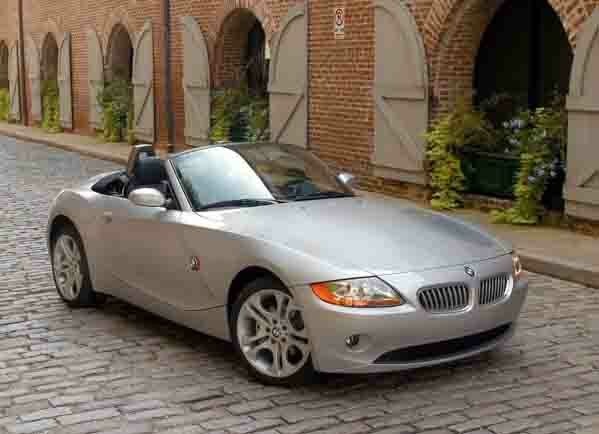 Karam - I always wanted to buy a second-hand Z8 but after looking at the price, I decided to purchase a Z4 instead. Great cars to drive every day and it looks great. Pros: Looks fast and is quick. Cons: Very limited options on base models. If you find a BMW Z8 at a low price you need to buy it ASAP as they are rare and every year is getting more and more expensive. Plus they are equal as pretty. 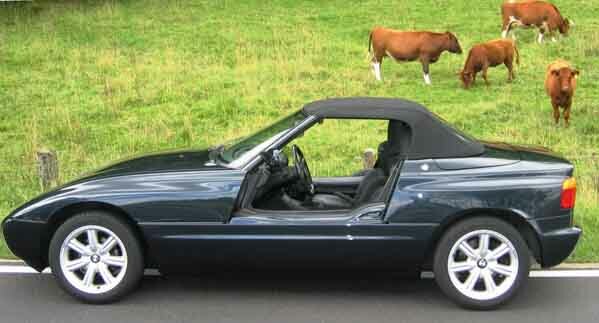 The BMW Z1 has doors that ascend and descend via a motor and is one of the very few if only one that has this feature. 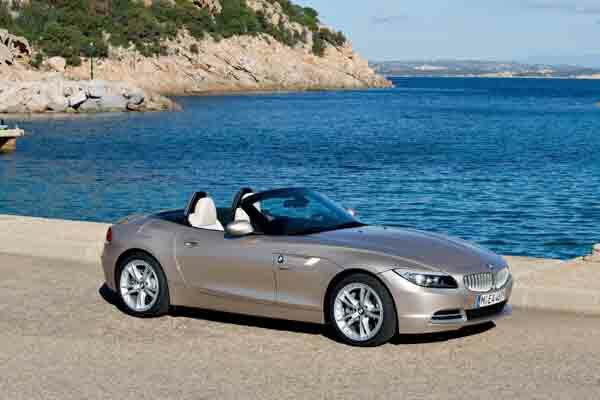 Current generations of the BMW Z4 has multiple engines including a four-cylinder powerplant. Over the years a variety of body styles, most of them convertibles although there are coupe models on offer. Each Z model have their very own unique styling and unfortunately all come with their very own price bracket as well. Over the years, Four Z models have graced roads around the world. Consisting of the Z1, Z3, Z4 and Z8. Each model has their very own unique style and only seated two people. Specifications inside weren’t always the best, but they always offered a manual gear and drop dead gorgeous bodywork to boot. Finding rivals on the road can be difficult especially when it comes to the Z8 and Z1 as nothing can really compare. Road Rivals for the Z4 at least: Mercedes SLK-Class, Nissan 370Z and Porsche Boxster. Produced in very limited numbers from 1989 to 1992, the BMW Z1 comes in one body style, convertible and features an interesting mechanism to open the doors. Standard models include fabric seats, radio tuner and manual accessories. Air conditioning was never added as an optional extra and with any Z1 that has it, has a third party system installed. Certain models don’t come equipped with a radio system. Instead they have a Sony stereo system instead. Depending on what market it was initially intended for headlights are either clear or yellow. All models are powered by a 2.5-litre straight six cylinder motor powering the rear wheels, 168 horsepower is sent to the rear wheels via a 5-speed manual transmission. These models are extremely rare in the UAE, only a handful of models have said to be made available here, and most sources say there are no GCC spec models. If you see one pop up for sale, you should consider buying it just for its quirky doors. 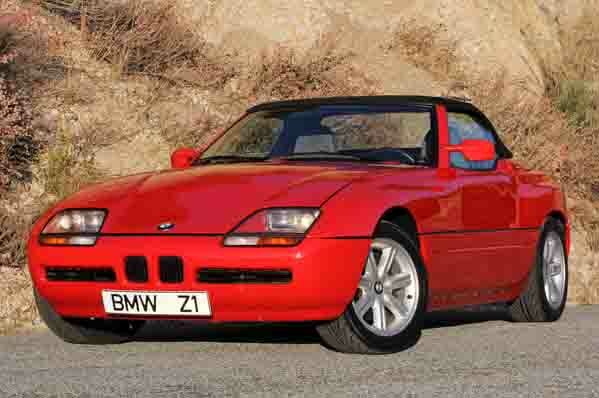 BMW Z1 models are available as 1989, 1990, 1991 and 1992 models and prices start at AED 149,950. After a brief hiatus, 1996 marked the return of the Z badge as the BMW Z3 was launched as a roadster with either a hard or soft top roof. Standard options; 15-inch rims, driver airbag, electric mirrors and fabric seats. Higher trim levels and optional extras include leather seats, 16-inch rims, onboard computer, stability control, air conditioning, sport seats, electric roof and a CD player. 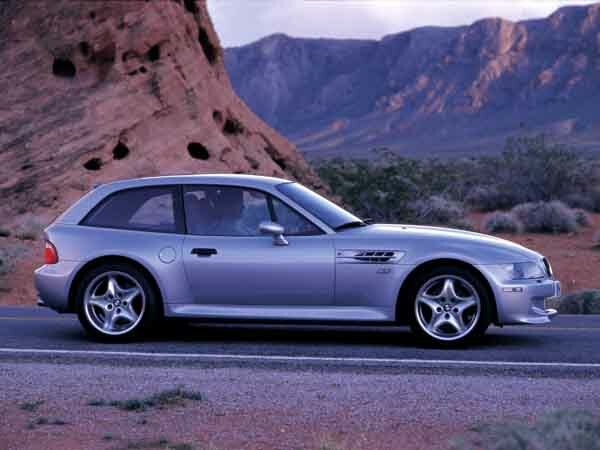 1999, saw a shooting brake inspired coupe model added to the lineup and expanded the additional feature list to include a sunroof and boot storage net. A broad range of engines are available throughout the years; four-cylinder models either have 1.8, 1.9 or 2.0-litre engines, six-cylinder models have 2.2, 2.3, 2.5, 2.8 and 3.0-litre displacements. Engines are mated to either an automatic or manual transmission and drive the rear wheels. Besides standard models, a Sport Edition is available with larger 17-inch rims, sport seats, dual tone interior, brushed aluminium trim and an illuminated gear lever. In 2000, this edition was replaced by the Z3M fitted with a unique front and rear bumper, quad exhaust tips, 17-inch M rims and M-badged steering wheel and gear stick. These models both have straight six engines with increased outputs compared to Z3’s. Additional extras such as Harman/Kardon sound system, CD player and exterior chrome package are all available. Oddly enough one Z3M was built with a V12 motor powering the rear wheels. These models are available in 1996, 1997, 1998, 1999, 2000, 2001 and 2002 models with prices starting at AED 12,000. After the last Z model rolled off the production, BMW already had another Z series to take its place. Dubbed the Z4, once again it’s only available as a convertible or coupe with the latter being much harder to find than a convertible version. Both models are larger and lighter than Z3 models. Standard features include fabric interior, power accessories and CD player. Higher trim levels and optional extras include power seats, media inputs, heated seats, Bluetooth, cruise control and navigation system. Either a 2.0-litre four cylinder motor or a 2.2, 2.5, 3.0 or 3.2-litre straight six powers the rear wheels via a 5 or 6-speed automatic or manual transmission. 2006 models and onwards receive a slight touch up including a new front bumper, air intakes, fog lights, rear bumper and rear lights. Engine outputs are increased and standard features including ABS brakes, traction control and stability control. 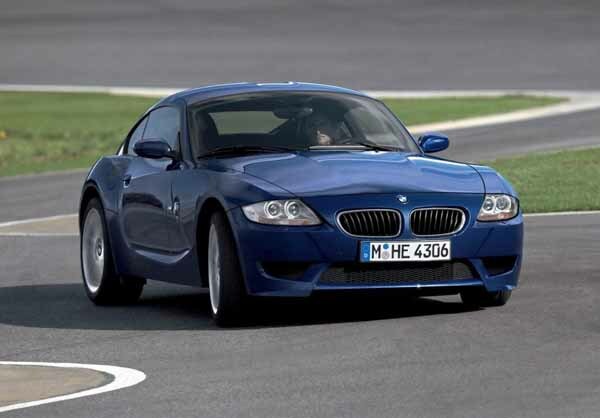 In 2008 trim, Z4M models are available, aside from specific badging and steering wheel; the engine is more powerful too. Looking to buy used BMW Z4 in Dubai, UAE? Prices start off at AED 20,000. Available only as a hardtop convertible with the soft-top being dropped, the roof can be retracted in around 19 seconds. Most standard features from the previous generation returns for a few more years with new additions such as an electronic handbrake join the mix. Similarly, additional features stay somewhat identical with leather upholstery, 18-inch rims, an iDrive computer system with navigation and Bluetooth, media inputs and a host more. Various trim levels are available, 18i, 20i, 23i, 28i, 30i, 35i and 35is. The M Sport package is available once again with slight differences to the bodywork and unique interior components much like in previous generations. A multitude of packages is once again one offer including the Pure Traction Design package which takes over from the Design Pure Impulse Package. This package provides unique colours for the exterior including Valencia Orange, contrasting and two tone interior and a few extra bits. Pure Fusion Design is the other package available offering exclusive trims and leather options. A manual or automatic transmission can be hooked up to a multitude of engines ranging from a four-cylinder 2.0-litre and a 3.0-litre straight six. Power in all models is sent to the rear wheels. From 2013, the usual exterior modifications are present most notably around the front part of the vehicle inclusive of the LED headlights. Inside, higher grade materials and design packages are available. Contrasting coloured roofs were also made available. Prices in this generation start at AED 65,000. 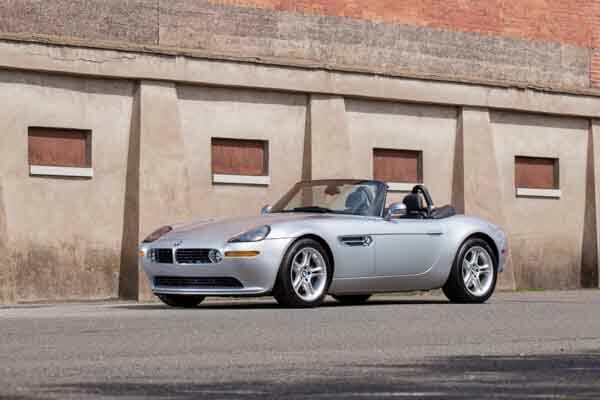 Production of the Z8 started in 1999 and was strictly built as a roadster only. Designed by the same man as the Fisker Karma, it was never intended to be a road car. However, due to popular demand of the Z07, BMW made the right decision and started producing them. With a body made entirely of aluminium, this light roadster comes with leather seats, Radio tuner, and power accessories. Optional extras include heated seats. The interior has a simple yet elegant design, with centrally mounted gauges instead of driver side mounted. All versions are powered by a 4.9-litre V8 powerplant driving the rear wheels. Standard models came stock with a 6-speed manual transmission, and when Alpina joined in, a 5-speed automatic is available. In 2003, Alpina took over with their Alpina V8 Roadster and added relaxed suspension, Nappa leather, unique gauges, steering wheel, and badges. The engine is also rated at a lower output. 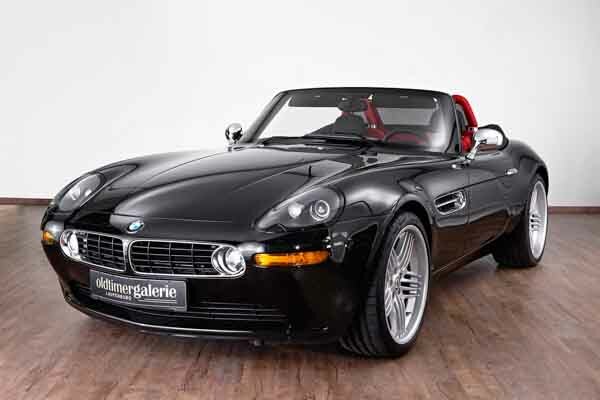 Just over 5,700 units of the BMW Z8 were produced and are now highly sought after, prices start at AED 1,000,000. Very rarely do these models go on sale in the UAE, buying one in export markets will be a lot easier to obtain.